Expose your corporation brand name with our new Olympic 2012 Logo Branded Cups! 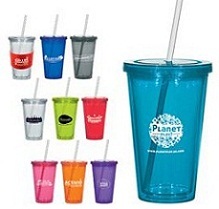 Perfect for stadium usage and designed for a long lasting promotional life-time, these branded Olympic 2012 cups are perfect for the customer freebie or business gift. The stylish transparent effect of these acrylic cups is simply stunning, with a xtrong sturdy plastic straw, these promotional Olmpic cups can be re-used as many times as you like for your favourite soft drink beverage and can be taken home and used as a personal favourite cup. The one colour print with a large print area will ensure good exposure to the public. Why not hand these out as the perfect business gift to customers as a business gift to celebrate Londons 2012 Olympic events? Personalise with your choice of colours and 1 colour print! For a FREE QUOTE, please fill in the form regarding our Olympic 2012 Logo Branded Cups and we'll be able to help you.